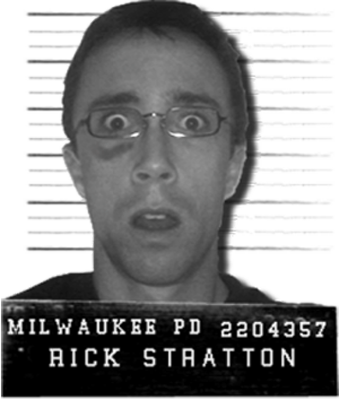 Rick Stratton had no idea what was going on. As founder of Feed.us, he would’ve loved to have been featured on a high-profile tech blog. But his venture didn’t get the attention — his face did when it happened to appear in a screengrab used in a 2011 TechCrunch story. How ironic. And Stratton totally got that when he posted a funny comment under the article: “Hey I finally made it onto TechCrunch!” Facebook wasn’t laughing, though. Completely misunderstanding the situation, it appears the company mistook this as an admission that Stratton is associated with the controversial Chrome extension at the heart of the article. Next thing you know, Stratton’s getting papers filed by the company’s attorneys. So what is it that has Facebook so riled up? It’s a utility called Defaceable, a Chrome plugin lets users post anonymously in Facebook Comments using aliases of fruit. Seems simple enough, but it could have broader implications, since so many sites use Facebook to manage their comments section. (Disqus and Facebook Comments seem to be the two most prevalent solutions.) While it could inspire more trolling, sure, the part that really twists Facebook’s knickers is that it defies its Terms of Service. And now, seemingly hellbent on targeting anyone connected with it, the social network has erroneously threatened to sue Stratton. As proof, he received papers from Facebook’s attorneys this week. Stratton does admit that he can see why Facebook and its lawyers were confused. But, he reiterates, he has nothing to do with Defaceable. Will this attention be enough to get Facebook to change its litigious course? Hard to say. So far, Facebook hasn’t admitted to the error or made any statements, other than that it will look into this and reassess things, if necessary. At least Stratton’s Facebook account hasn’t been frozen or shut down yet, which he’s taking as a good sign. The poor shlub. His appearance on a tech blog has nothing to do with his business, and his funny but superfluous comment puts him in the hot seat for a project he has nothing to do with, being threatened by one of the most powerful organizations on the web.